The late Leonard Nimoy invented the Vulcan salute in the Star Trek episode "Amok Time." Without Nimoy's Orthodox Jewish background, we would have the phrase "Live long and prosper," but not the matching hand gesture. In this video for the Yiddish Book Center's Wexler Oral History Project, Nimoy recounts when he first saw the gesture in real life, and how he adapted it for the show. The famous line "Live long and prosper" was written by Theodore Sturgeon as part of the "Amok Time" script, but did not include a reference to any physical greetings that Vulcans should perform. 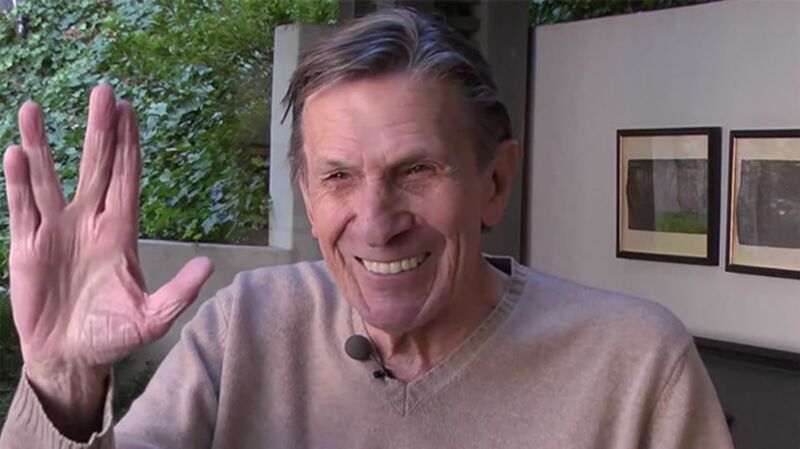 Take three minutes for a little remembrance from Nimoy. LLAP. Related: Give Me a Sign: The Stories Behind 5 Hand Gestures.